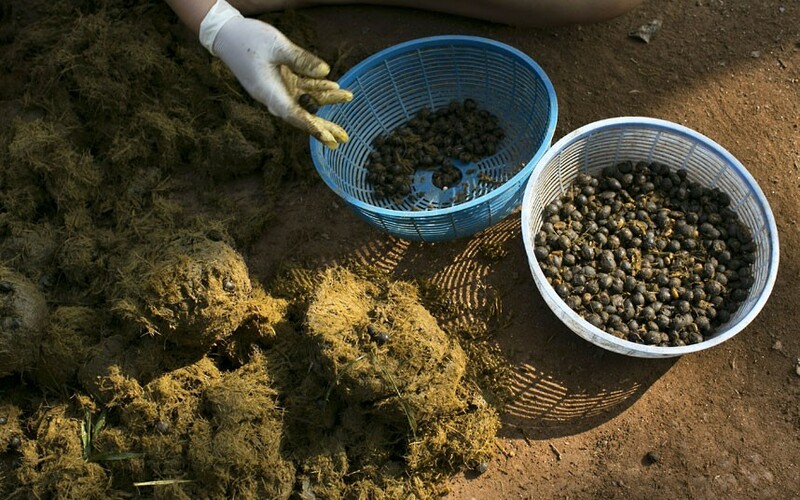 Would you pay US $1,100 for a kilogram of elephant dung coffee? Forget Kopi Luwak. Beans pooped by elephants make a far tastier cup of bitter-free coffee. In the lush hills of northern Thailand, a herd of 20 elephants is excreting some of the world’s most expensive coffee. Trumpeted as earthy in flavour and smooth on the palate, the exotic new brew is made from beans eaten by Thai elephants and plucked a day later from their dung. A gut reaction inside the elephant creates what its founder calls the coffee’s unique taste. In the misty mountains where Thailand meets Laos and Myanmar, the coffee’s creator cites biology and scientific research to answer the basic question: Why elephants? When an elephant eats coffee, its stomach acid breaks down the protein found in coffee, which is a key factor in bitterness, said Blake Dinkin, who has spent more than £200,000 developing the coffee. You end up with a cup that’s very smooth without the bitterness of regular coffee. 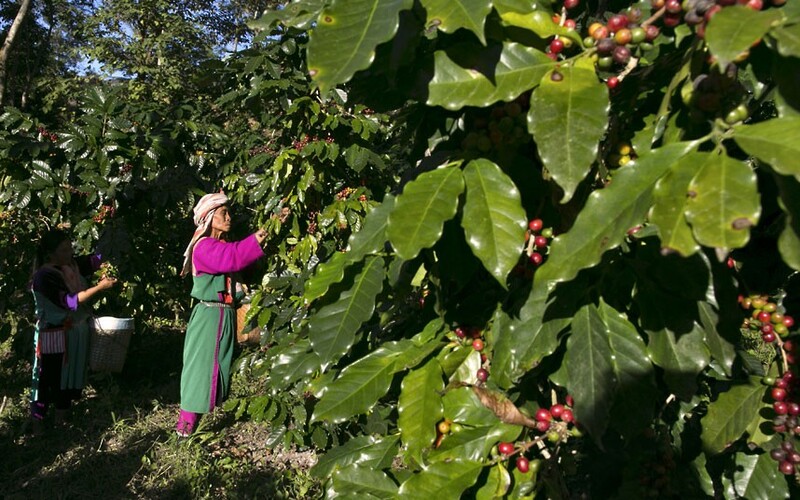 The process is labour intensive, as pure Arabica beans are hand-picked by hill-tribe women from a small mountain estate. The coffee cherries are mixed together with fruit and rice before being fed to the elephants. Once the elephants do their business, the wives of elephant mahouts collect the dung to break it open and pick out the coffee. After a thorough washing, the coffee cherries are processed to extract the beans, which are then sent to a gourmet roaster in Bangkok. The result is similar to Kopi Luwak, but the elephants’ massive stomach provides a bonus. 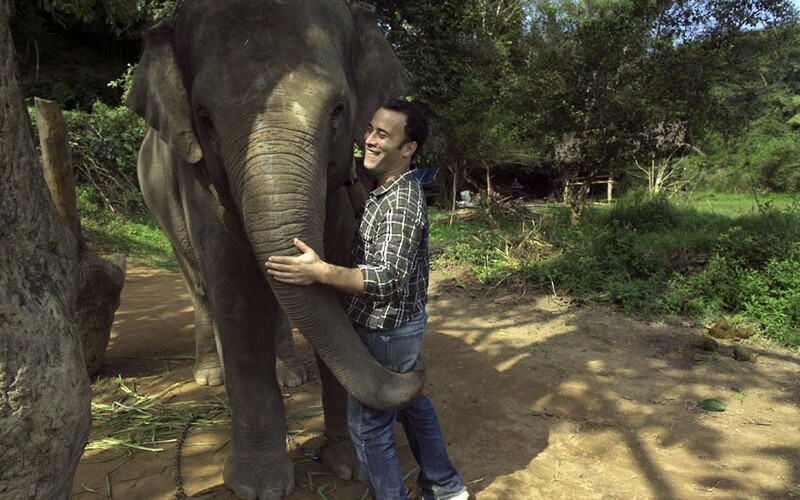 Think of the elephant as the animal kingdom’s equivalent of a slow cooker. It takes between 15-30 hours to digest the beans, which stew together with bananas, sugar cane and other ingredients in the elephant’s vegetarian diet to infuse unique earthy and fruity flavours, said Blake Dinkin, the 42-year-old Canadian, who has a background in civet coffee. 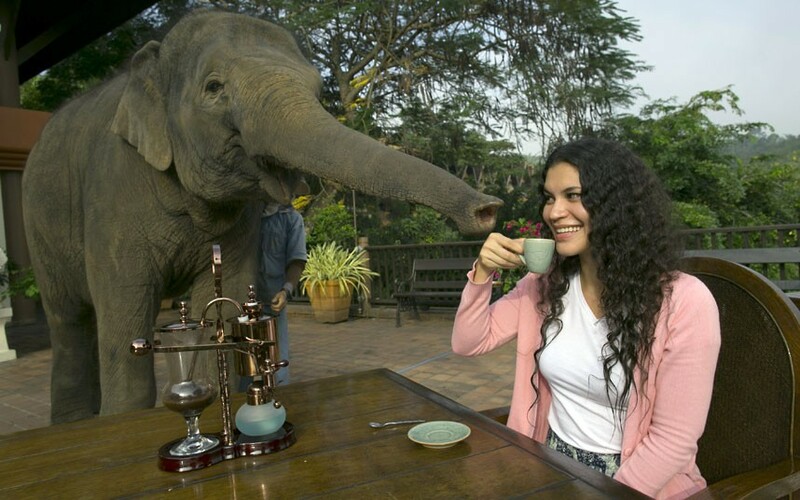 As for the coffee’s inflated price, Dinkin half-joked that elephants are highly inefficient workers. It takes 33 kilograms of raw coffee cherries to produce one kilogram of elephant dung coffee. The majority of beans get chewed up, broken, or lost in tall grass after being excreted.